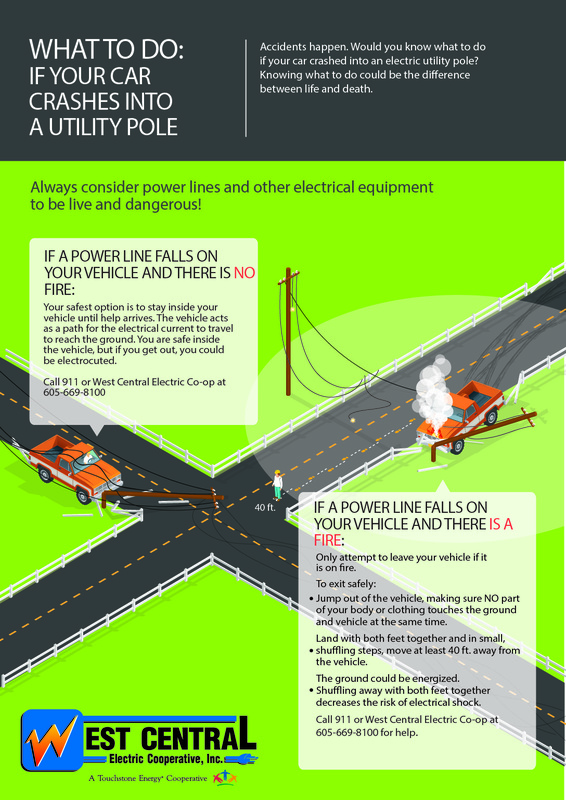 Down Power Lines | West Central Electric Cooperative, Inc. The only circumstance in which you should consider leaving a car that is in contact with a downed power line is if the vehicle catches on fire. Open the door. Do not step out of the car. You may receive a shock. Instead, jump free of the car so that your body clears the vehicle before touching the ground. Once you clear the car, shuffle at least 40 feet away, with both feet on the ground. As in all power line related emergencies, call for help immediately by dialing 911 or call West Central at 605-669-8100.